One of the ways that evolution hinders scientific progress is because of the multitude of assumptions made. For instance, so-called "junk DNA" was not thoroughly investigated for many years because it was presumed that since scientists did not understand all of it, it must be junk from our putative evolutionary past. Then evolutionists were embarrassed to learn that it's not junk after all. Dinosaur bones were not tested because of the presumption that they've been extinct for millions of years. Soft tissues were a real shocker! 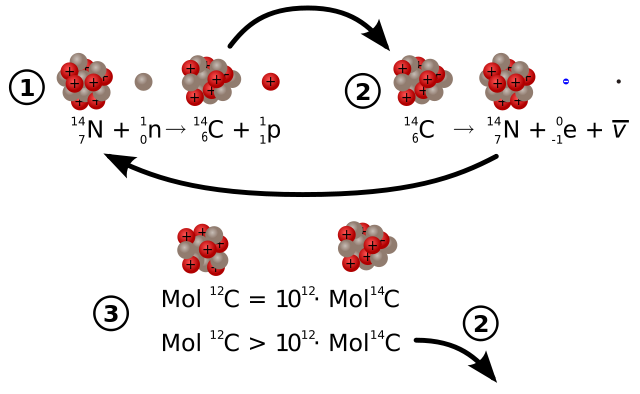 Test diamonds for carbon-14? That's absurd, they're billions of years old and there will be none of that. Wrong, carbon-14 is in diamonds! Similarly, carbon-14 should not be in natural gas wells, so evolutionists did not bother to look. A creationist scientist had testing done, wrote up a peer-reviewed paper that was published by the prestigious Creation Research Society, and did an interview on Real Science Radio. * CRS Makes John Doughty Paper Publicly Available: The Creation Research Society, upon request from Real Science Radio, has made available to the general public a 2007 paper previously only accessible to subscribers of their peer-reviewed journal. That paper, Deep Wells—Deep Time?, presents the results of testing natural gas from a deep well for Carbon 14. RSR now interviews 14c researcher John Doughty, aerospace and mechanical engineering Ph.D. and former Lt Col program director of a U.S. military space laser program. You can listen online or download the interview here. Be sure to check out the supporting links on the site, too.